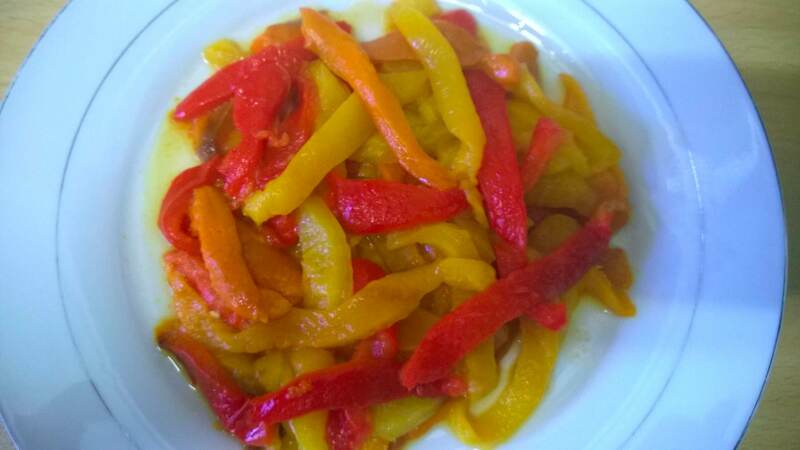 Roasted peppers make a lovely ingredient for pasta dishes, salads, sandwich fillings and more. And there’s no need to buy them in a jar when it’s so easy to make your own. 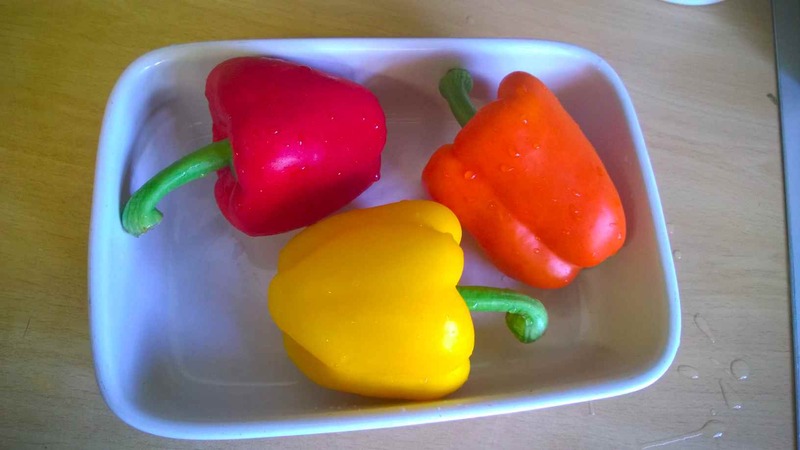 To clarify, when I say “peppers” I am referring to what they generally call “bell peppers” in the States, “capsicums” in Australia/New Zealand and here in the UK we usually just call “peppers”. 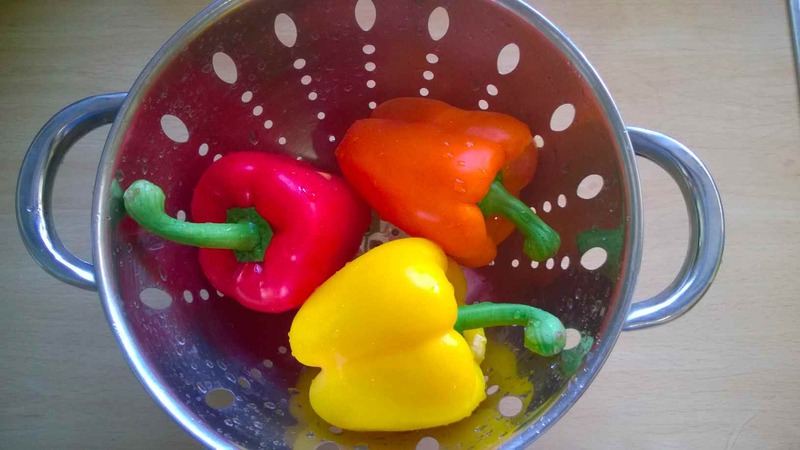 This works best with red, yellow or orange peppers, but if you prefer green then I shan’t stop you! 2. Place them in an oven dish or baking tray. 4. 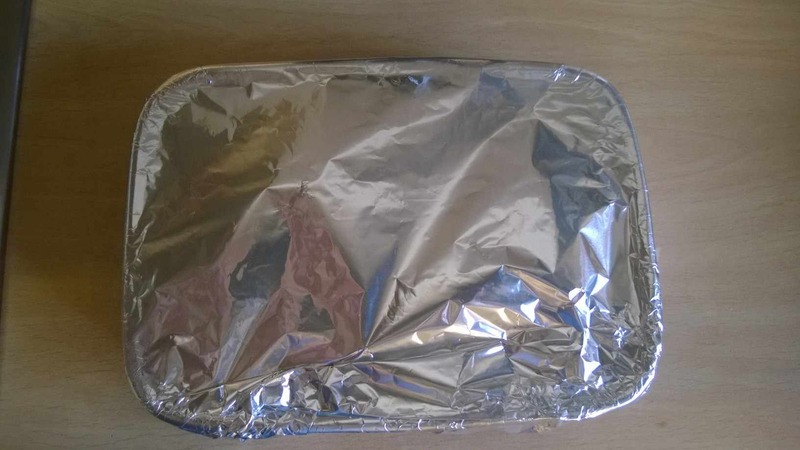 Cover with foil and leave for 30 mins. My top serving suggestion is to make a pasta sauce by adding them to chorizo, tomatoes, onions and garlic. Remember if you’re using them in a cooked dish, add them right near the end just to heat through as they are already cooked soft. At some point I plan to experiment putting them in a jar with oil, maybe a garlic clove, perhaps a lemon wedge, maybe a sprig or two of something. Sounds good doesn’t it? I LIKE ideas. Shared ones are the best. That is strange that only the red do that to you! I would have thought the green if anything because they’re less ripe aren’t they – maybe you could ask a doctor why that is…oh wait. Ooh, I’ll check out that link in a bit, that sounds wonderful! Yes, we tend to just call the hot ones chillies and the sweet ones peppers, even though we know that they are all peppers! I love the hot ones, but in moderation, I can’t cope with too much hot! 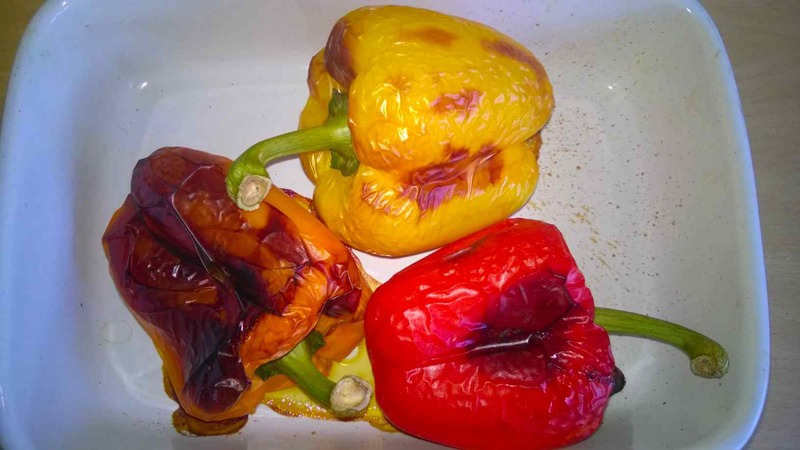 Mmm, I love roasted peppers. And putting them up with oil and garlic sounds good, too. I just have no idea how long they would keep that way! I don’t think they would keep that long in a jar, unless there was a way to make it air tight like the bought ones! But maybe it would be nice to just leave them to marinate in oil and garlic and whatever for a few days and then use them in a salad, or some other cold dish.